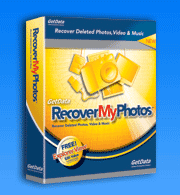 Digital Photo recovery software. Recover deleted photos today! Memory card and compact flash recovery! 4. If you can see the files you wish to recover purchase a license key via our secure server and save your photographs. If you are asking how do I recover deleted photos, Recover My Photos is fast and easy. No technical skill is required to recover deleted photos. It works for compact flash data recovery, smart media data recovery, memory card recovery, or other storage media including your PC hard drive. Registration of the software includes free lifetime updates and support. We are the experts in photo picture data recovery software, please do not hesitate to contact us if you require assistance.